After attacking the premium phone segment with the HTC One, HTC is coming back in the mid-range smartphone segment with its Desire series phones. We got our hands on the HTC Desire 500 and are going all in to explore what this phone has to offer. 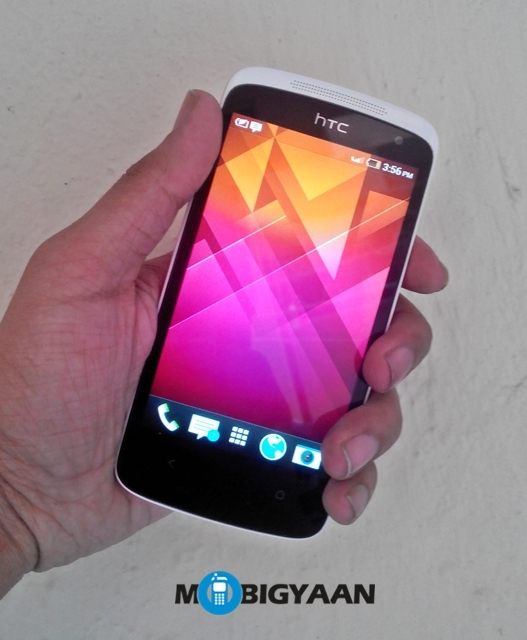 The HTC Desire 500 spells vibrancy, lightness and user-friendliness from the first look you get at it. 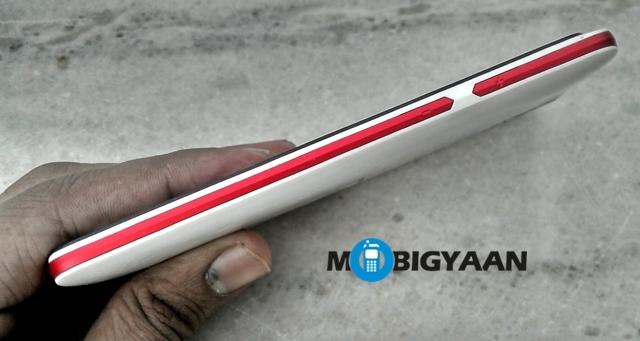 But it is also a non-premium handset which means that it is light but plasticky. So basically, the gist is – does it stand against other phones in the segment like the Micromax Canvas Turbo and Lenovo P780? Lets dig in and find out. When it comes to design, HTC has done its homework. 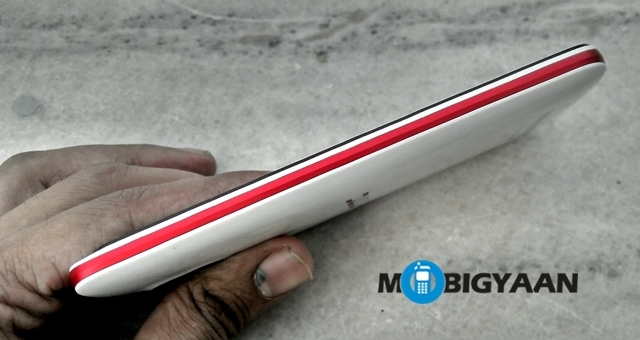 The handset is pretty smooth, easy to hold and the edges are well-crafted. 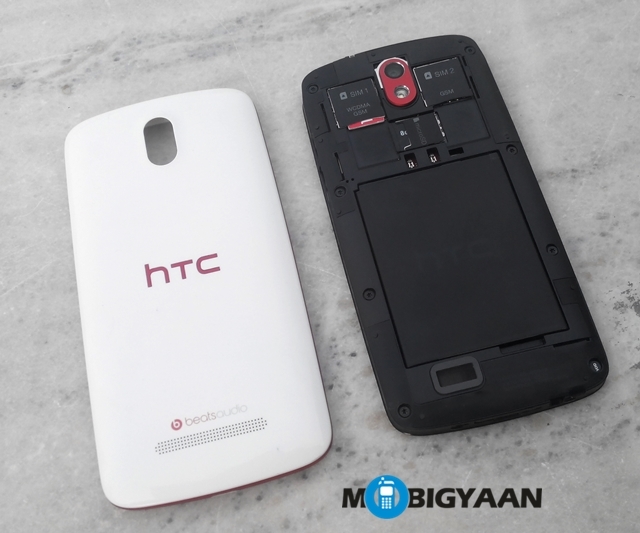 The HTC desire 500 looks comes in white and black and comes with a little mix of other colors – we got an elegant white and red piece. It actually seems a little groovy and cool. But, since it is made of plastic, you won’t get the premium feel, but it won’t feel too cheap either. But despite what it offers you will find it difficult to open the battery compartment for the first time. After that you will surely, figure out a point from where you can remove the cover, but it is a pain all right. 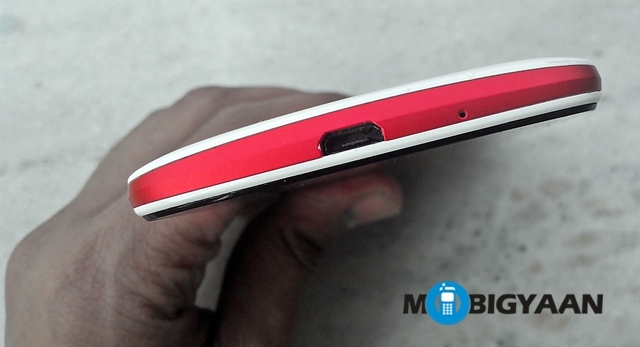 Under the cover you will find dual SIM slots and a MicroSD slot. The front is even more charming than the back. HTC Desire 500’s touchscreen is pretty smooth. But, the buttons at the bottom are something new. Rather than putting in the home search and menu buttons, HTC has gone rogue and put in just two buttons for home and back. They are not backlit. 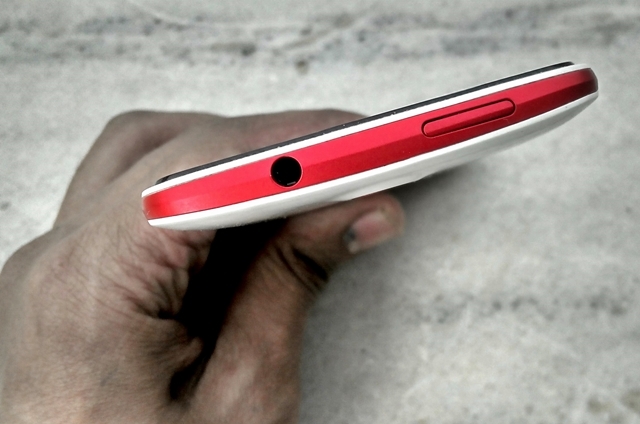 On the other hand, the power button is located at the top and is a tad difficult getting used to. The Volume buttons are something new though, since they are molded into the red lining around the edges and make the phone come out real catchy. The HTC Desire 500 comes with a 4.3-inch touchscreen, with something of an acceptable screen quality though you will feel that its very slightly abysmal compared to all the phones you could have a go at in this bracket. This is because its pixel density is just 217 ppi and hence the screen is not too sharp and in fact loses some sheen around the edges. 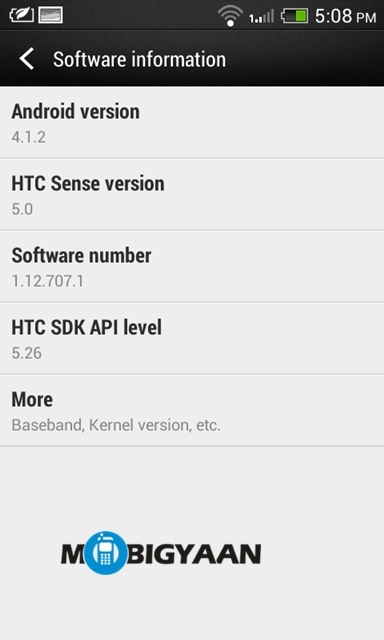 But, HTC makes up for what it lacks in the screen sensitivity. The screen is pretty sensitive and displays colors amazingly. But then, one thing we absolutely hated was the lack of sunlight visibility – it is very hard to use this phone out in the sun. 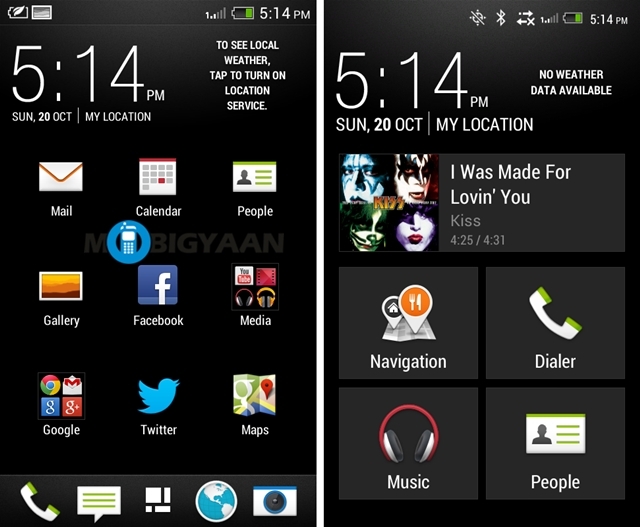 The phone comes loaded with Sense 5.0 and Android 4.1.2 – Jelly Bean OS. 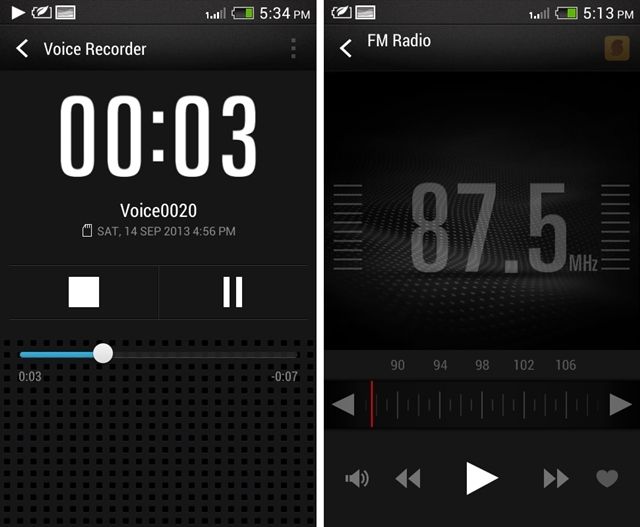 It has also lent some of the features from the HTC One such as Blinkfeed. 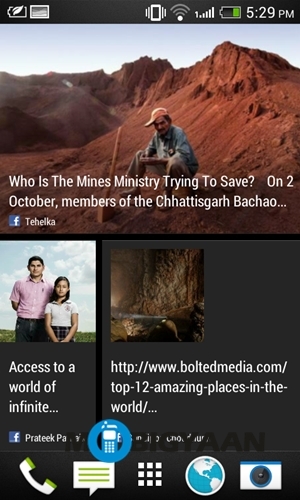 While we didn’t think too much of Blinkfeed, even though its good but, well not as good as say Flipboard, which is used for the same purpose – the one transition from the HTC One to the HTC Desire 500 that we cherish is the HTC Zoe collage maker that just breathes life into your photo albums with its videos. There is a little lag sometimes though, but still, anyone who can get their hands on this feature will definitely cherish it. The Sense 5.0 UI is something good and definitely something different from the 4 x 3 tile layout – it is a 3 x 3 layout with bigger icons. The HTC Desire 500 comes with a 1.2 GHz Snapdragon 200 processor and 1 GB RAM. Well, they both work fine in regular usage but once you start playing heavy games, you might notice a slight lag. There is 4 GB on-board memory which is pretty less for a handset its range. The connectivity generally fares well, but we would advise you to rely on Chrome or Opera rather than the native browser. The phone sports Wi-Fi, Bluetooth 4.0, DLNA but most important of all, it sports NFC which could be compatible with a range of stuff out there. The voice quality during calls was okay but nothing too great. It is a little difficult to talk in noise environments though. 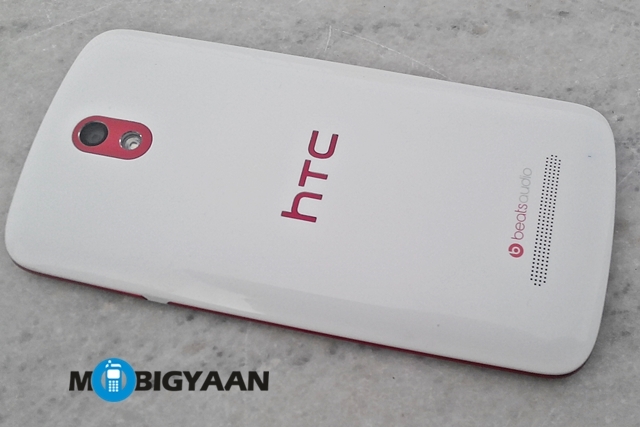 HTC Desire 500 is endowed with an 8-megapixel camera with LED Flash. 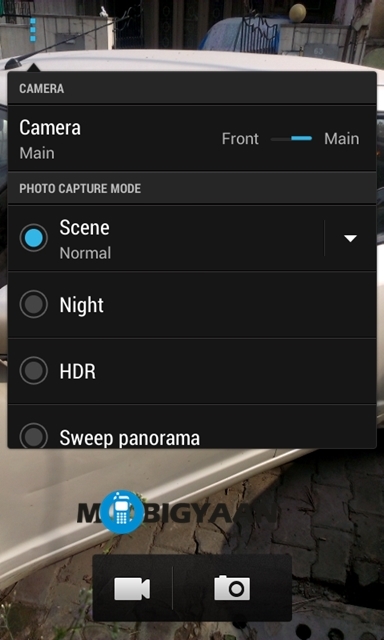 It comes with the HTC Sense Camera app, which offers all the regular stuff such as Panorama, HDR and Night Mode filters. 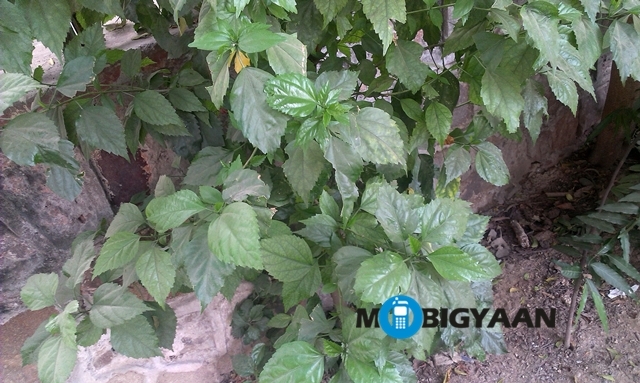 While the camera performs okay for an 8-megapixel camera, its not something bombastic. The color and hue temperatures could have been a little better. The video capture too lacks a punch. It is 720p Video capture coming in at 24 fps. The mic also picks up noise during video capture. 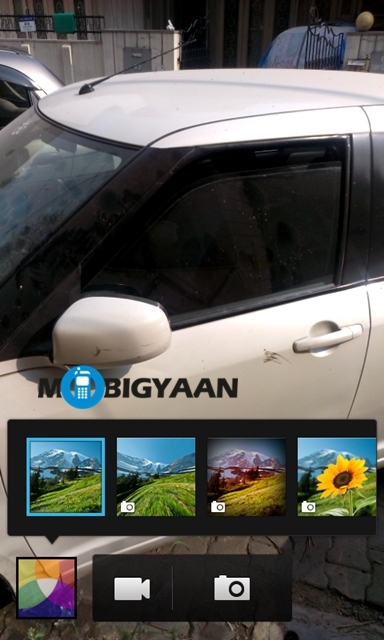 One thing that you will fall in love with is the photo editor app. You can not just edit them in different ways, you can also post them directly to social networks, the HTC Zoe will be amazing to post on FB or Twitter with its effects and image display. 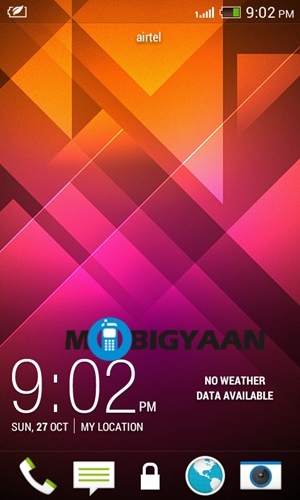 The handset comes with in-built Sound Hound functionality so it easily downloads album art, artist info etc. The speaker on board and back performed okay, while they weren’t out of the world when it comes to volume, the sound clarity was decent. Besides that, there is a voice recorder and FM Radio on-board. 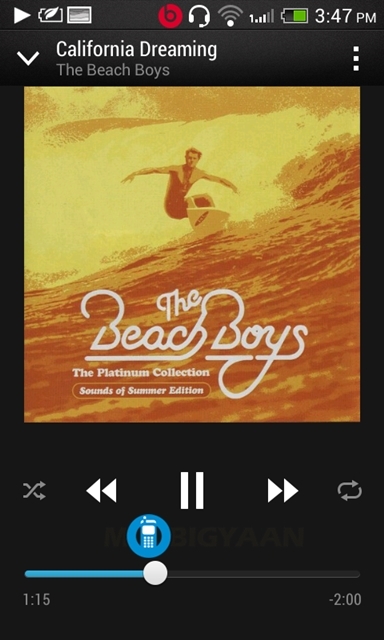 Sounds via the earphone are halfway decent. The battery life surprised us by grating much more juice than we would have expected out of an 1800 mAh battery. The talk time was good enough. A special mention here for the power saver mode – it is actually worthy to use when you are running low on battery. 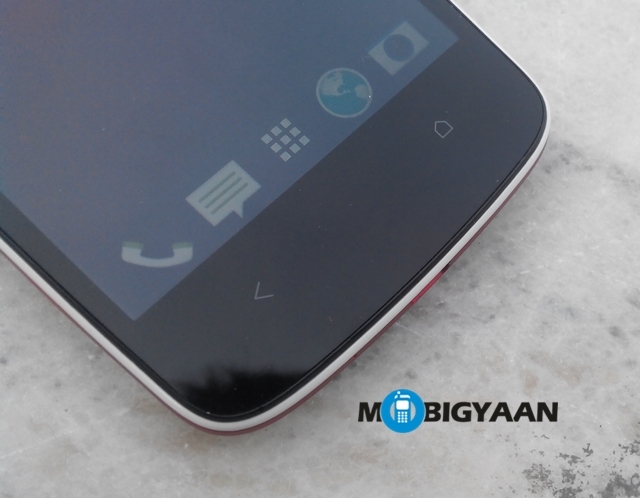 It cuts down on background functions and brightness to let you keep on using the phone easily. 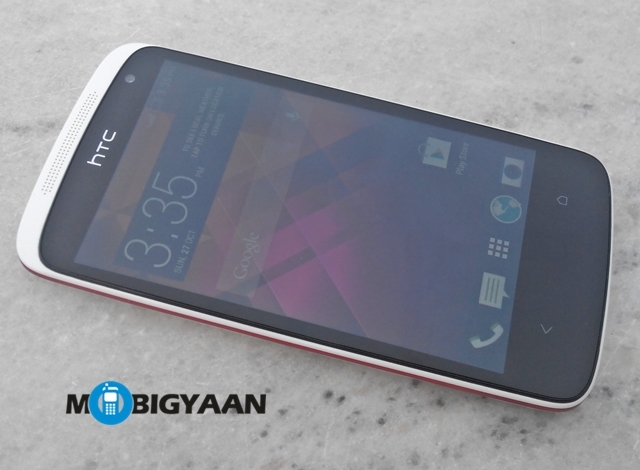 The HTC Desire 500 is a bundle of good v/s okay features. 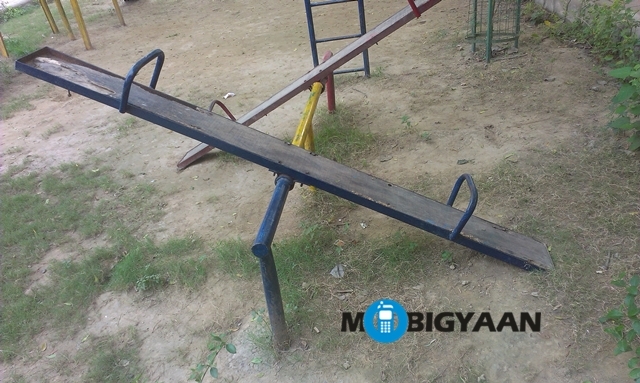 An around 20,000 Rs. price tag though hinders its positioning in the market, since at that price it enters an ultra-competitive segment. If you want something light and easy to use, it is definitely worth keeping in mind. But, if you are too feature crazy, we would suggest that you explore your options before settling on it.